The other possibility is that the driver is faulty or there is a short. 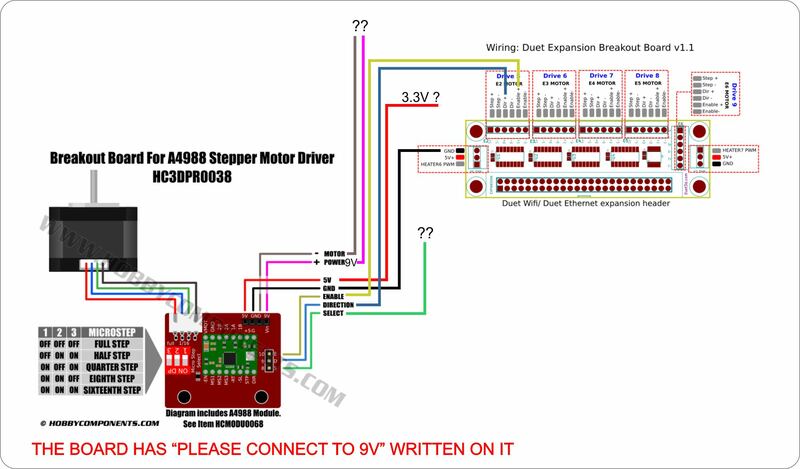 Does the motor move normally when commanded? @dc42 The motor runs correctly, the thing is that in stand by it's getting hot. The cables and the driver are not getting hot. And I think the motor only gets hot after the first move I make with it. @dc42 Just tested , more than an hour with the board ON and the motor is cold, the problem comes with the 1st signal that activates the motor. That's normal. 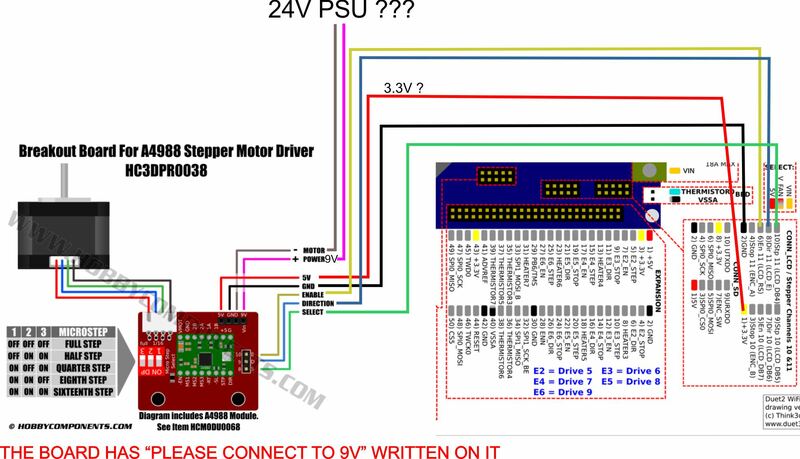 Motor drivers are not enabled until they are first used. For the internal drivers on the Duet, the motor current is reduced to the idle setting (default 30%) when the printer has been idle for 30 seconds. But the Diet can't reduce the current of external drivers. You can use M18 or M84 to disable external drivers at the end of a print. 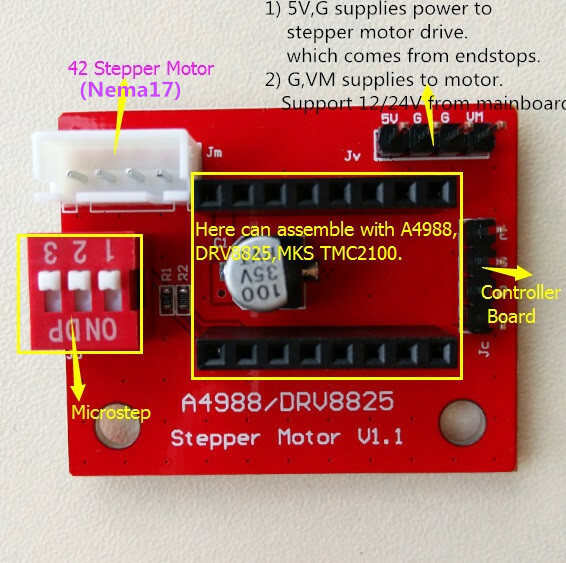 Plug-in stepper driver modules invariable have totally inadequate heatsinking (the PCBs are far too small), so unless you use them at very low currents, you should use a fan to cool them.